Hi. I'm Marty Jourard and this is my Musical Services site. I teach, perform and compose music. I've taught over 160 students since I began in 2002. 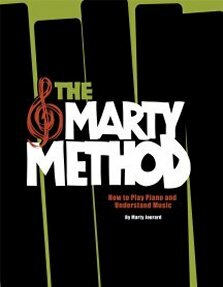 In this site I describe my private music lessons and my piano music instruction book The Marty Method. For information on my piano method instruction book click on "Piano Book." 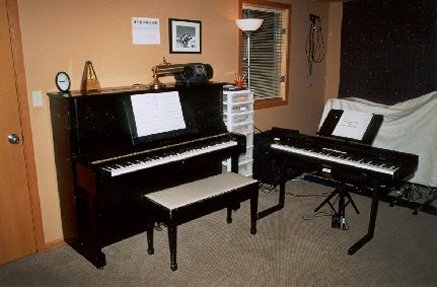 Click here for piano lessons in my Seattle (actually Kirkland) home studio. I also teach bass guitar, guitar, drums, and general music theory. I'm available as a piano player for private parties and other functions. I also offer sound reinforcement services, in the form of a sound system (two main speakers, two monitors and four microphones) and a sound engineer (me) for parties and other events. This constantly-updated site also contains other information you can access through the menu that appears at the top of every page: music quotes, sheet music, related links, free lessons, my thoughts on music (Musings) and other cool stuff. Thanks!